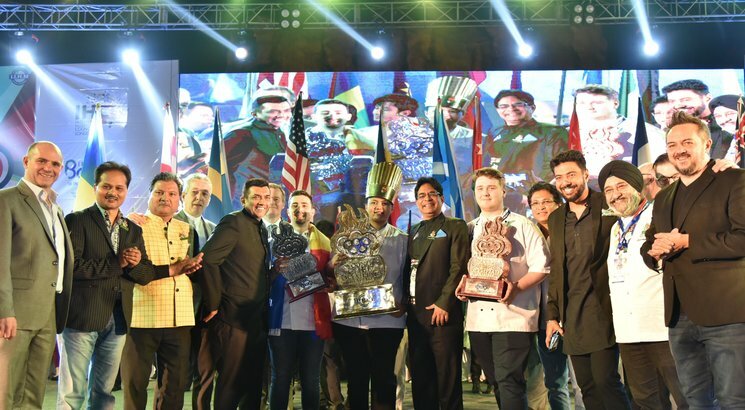 Bangalore, February 07, 2019: Six days, four cities and three thrilling rounds later, on the evening of 2nd February, 2019, France was the crowned winner of the IIHM International Young Chef Olympiad 2019. The winners were announced at the end of a colourful and grand closing ceremony befitting the standard of the Young Chef Olympiad was held at Nicco Park in Kolkata. Cyrene Randrianasolo, a student of Albert de Mun Hotel and Catering School, beat 49 other nations and was declared winner of the fifth edition of the world’s biggest culinary extravaganza. Cyrene bagged the winner’s trophy after the final round held at the IIHM Global Campus in Kolkata. The final round included preparing a salmon-based dish, a potato-based side and a dessert. Apart from the winner’s trophy Cyrene also bagged an award for Best Hygienic Practice. The International Young Chef Olympiad 2019 had a bunch of surprises for everyone, there were several other category prizes which went to the countries. The Best Dessert Dish in Round 1 went to Ahmed Alawadhi from Bahrain, the Late Shakuntala Devi Award for Best Vegetarian Dish Creation in Round 2 went to Andrea Guardiani from Italy. Apart from France, the Best Hygienic Practice Awards also went to Jordan McKenzie of Scotland and Henry Tan Jung Ming from Singapore. The International Young Chef Olympiad 2019, presented by the International Institute of Hotel Management (IIHM) in association with International Hospitality Council (IHC).